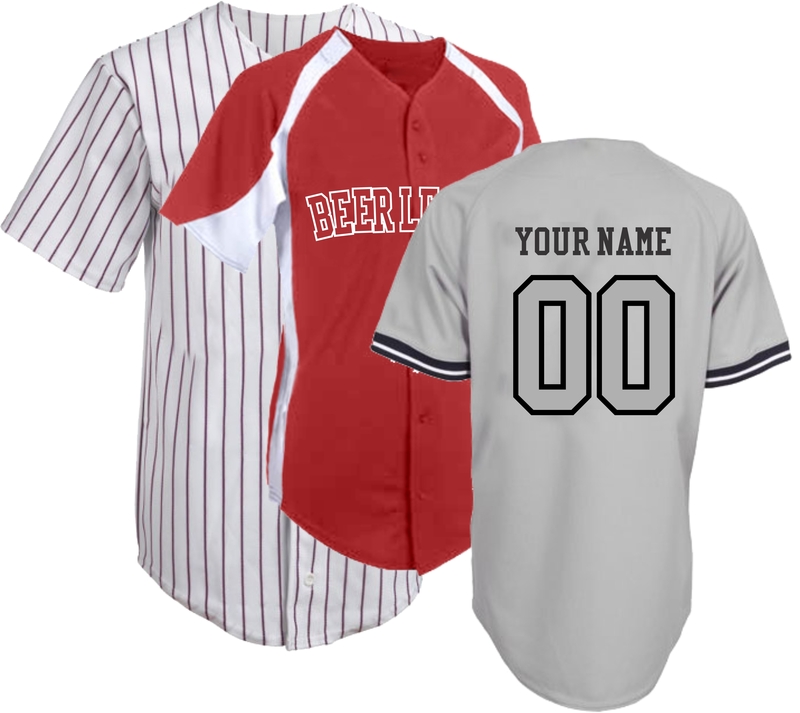 Custom Baseball Uniforms and Jerseys. 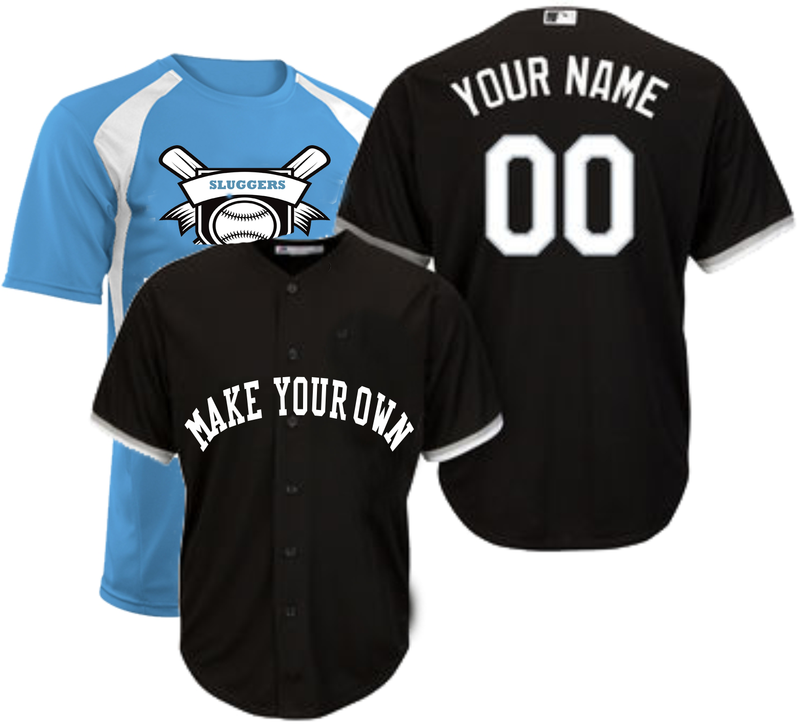 Design Baseball Uniforms Online . 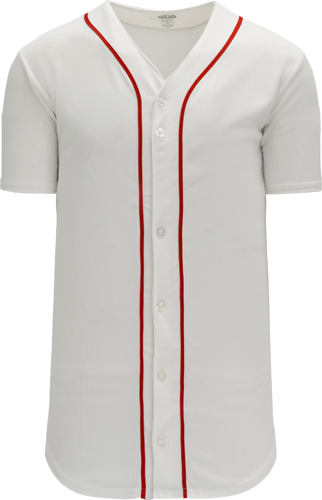 Baseball jerseys have certainly come a long way over the years. 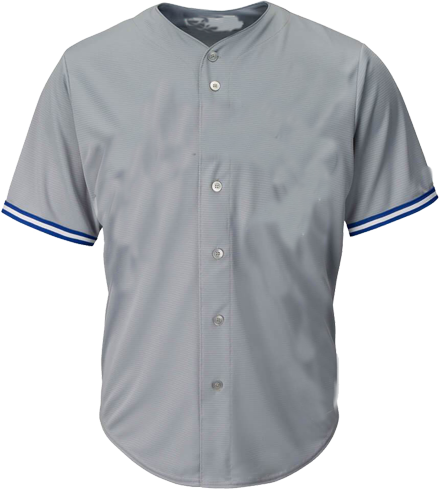 Wearing baseball jerseys are no longer reserved for major league baseball players as it were in the past, or semi pro baseball teams. 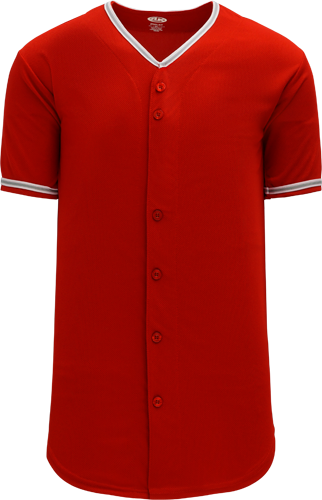 Wearing baseball jerseys has become common place. 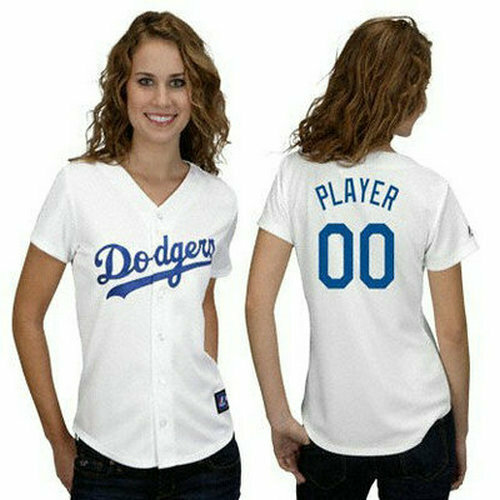 It has extended to fans, the fashion industry, family events, fraternities, religious gatherings, beer league softball teams and more. 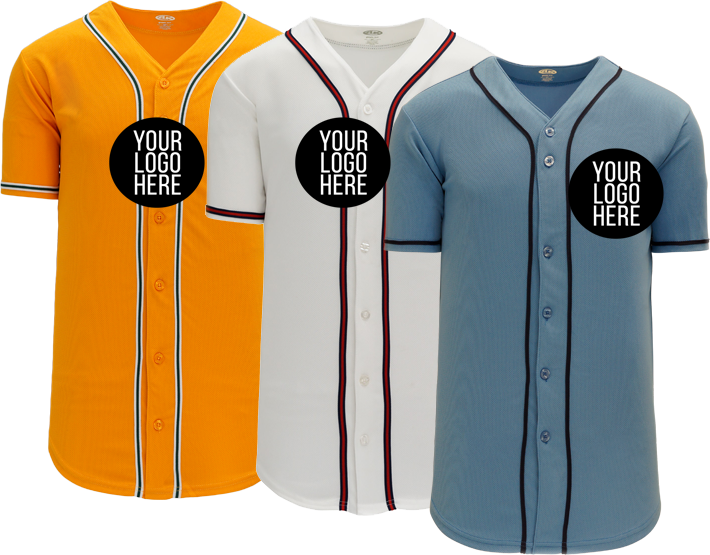 Selecting the right jersey has become challenging since the styles, fabrics and colors of baseball jerseys has evolved. 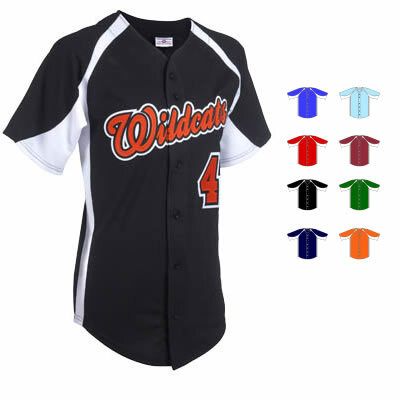 The decoration options and techniques have also changed to include full sublimation, sewn tackle, embriodery, screen printing and direct transfer. 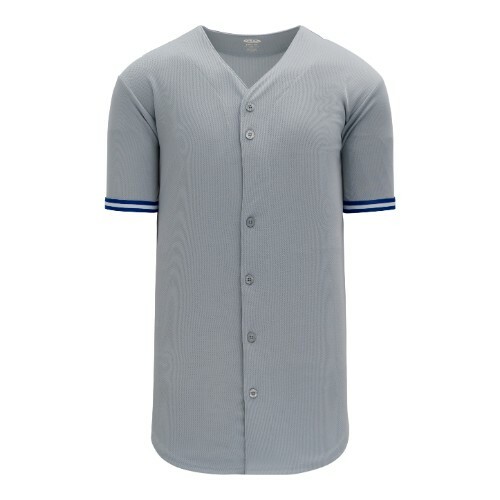 Our wide selections of jerseys and individual garment description will address issues customers like you are concerned about in selecting the right jersey. 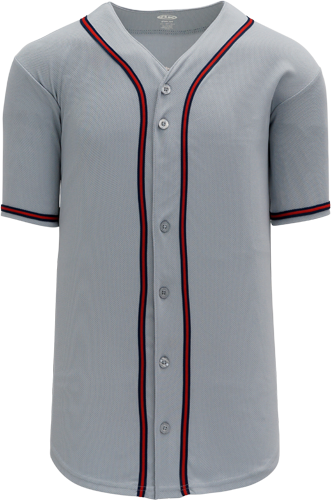 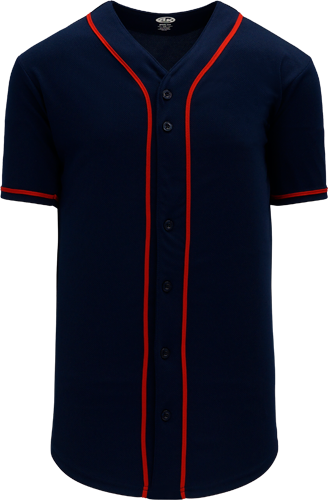 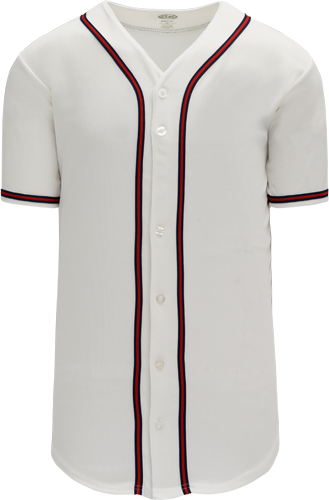 We carry many styles of pinstripe, button front, two buttons and 3/4 length baseball jerseys for recreational teams, women, men and youth. 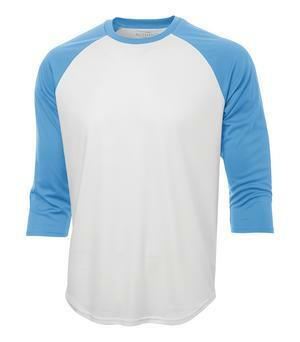 Design online today get free shipping. 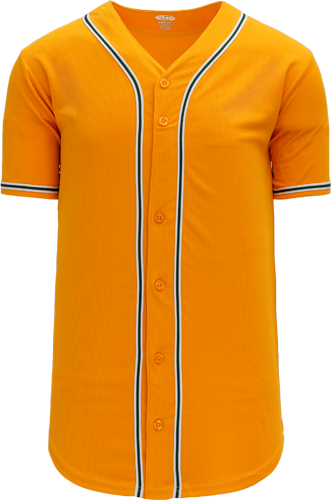 No Minimum Order or Set-Ups. 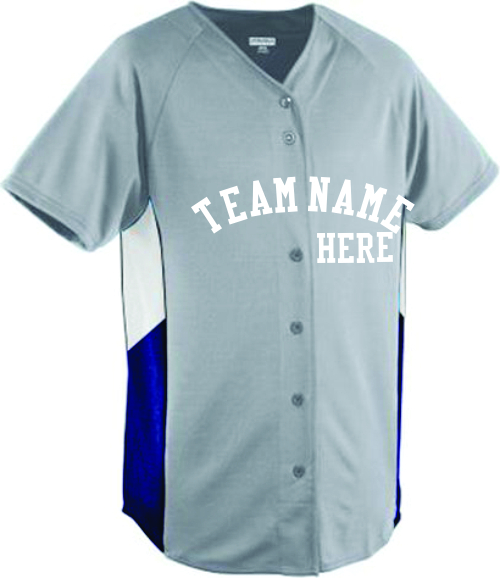 Plus get team discounts.